Which came first? It’s PIMM’S o’clock! 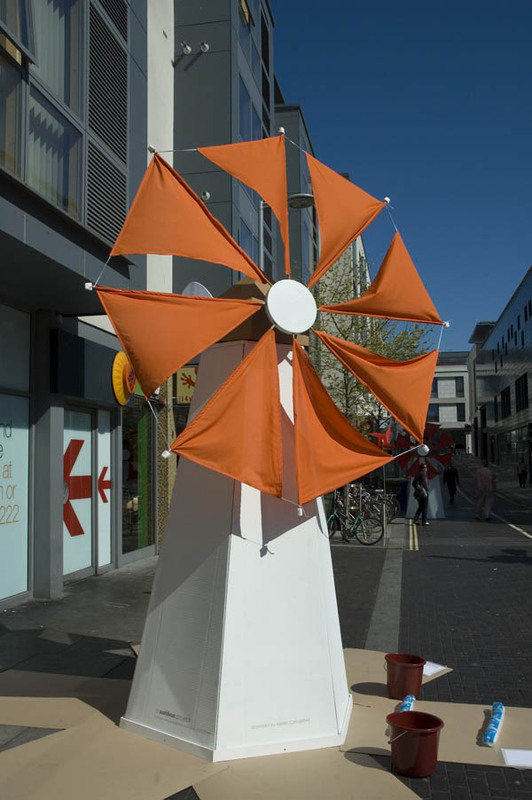 For some reason almost too complicated to explain, Brighton and Hove Council decided to celebrate St George’s Day 2009 with an event called The Book and The Rose. 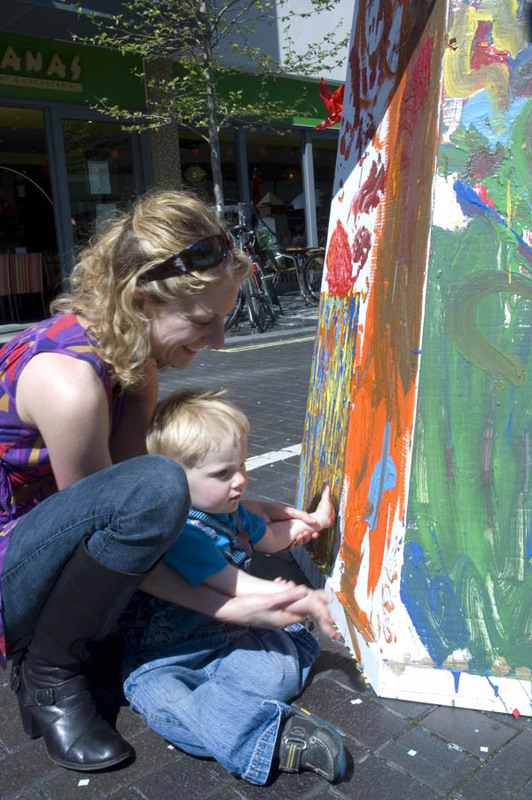 They were holding an event in Jubilee Square, Brighton which would include book and poetry readings, live music, children’s activities and entertainment in and around the square. 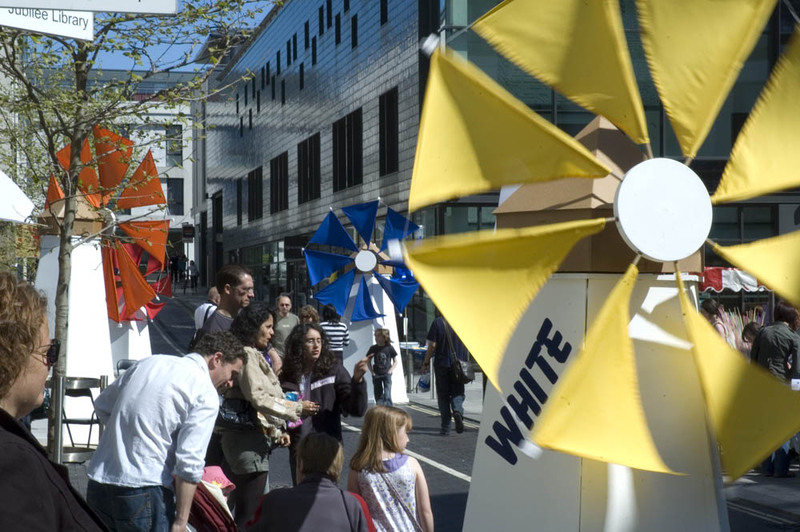 They were looking for a group to produce the children’s entertainments and also to build a large number of windmills to decorate the street. The rationale went something like this…. 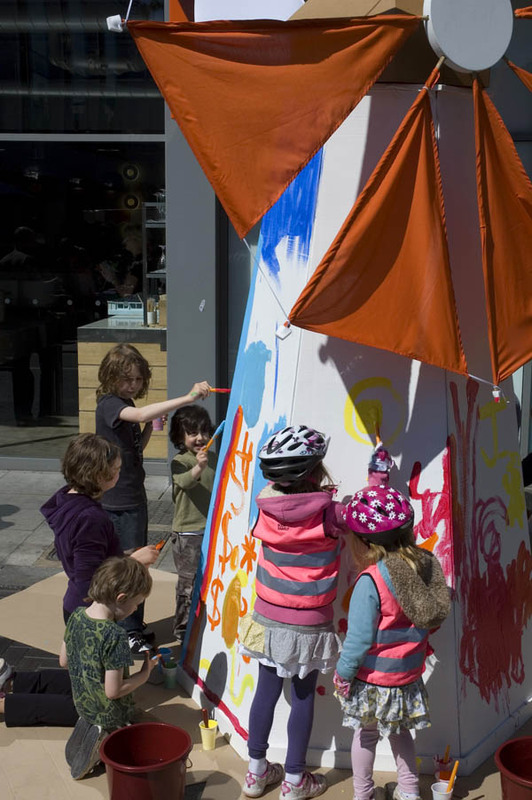 Shakespeare died on St George’s day, as did Miguel Cervantes… Miguel Cervantes wrote Don Quixote…. 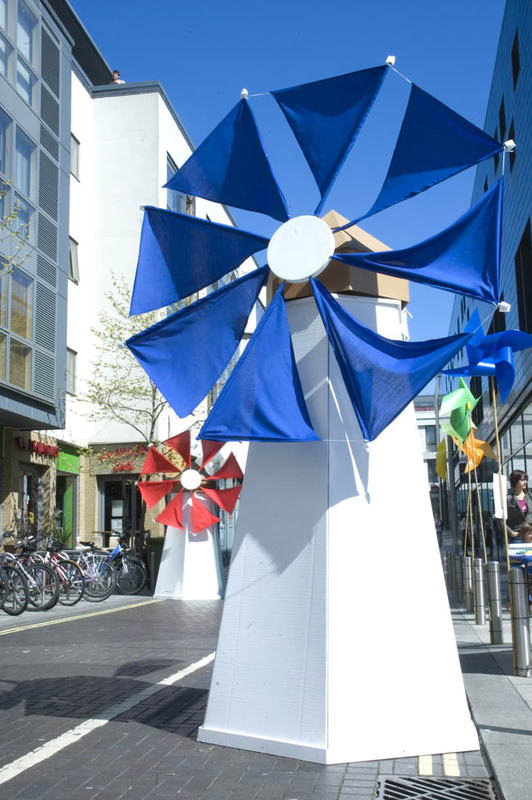 Don Quixote fought a number of windmills, thinking they were giants (he lost)… So let’s celebrate the centre of Brighton with windmills for St George’s day. 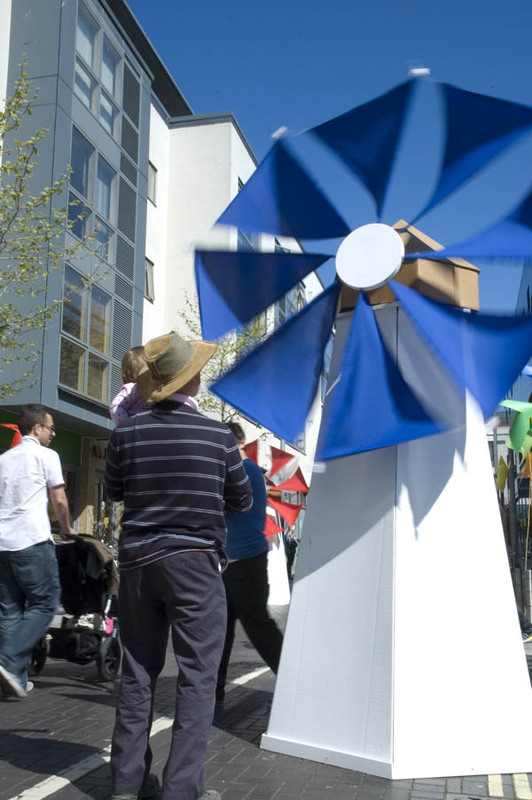 Plunge teamed up with some of the other creatives in the Workhaus complex to create 5 large windmills, made – amongst other things – from cardboard donated by the wonderful people at Abbey Corrugated. 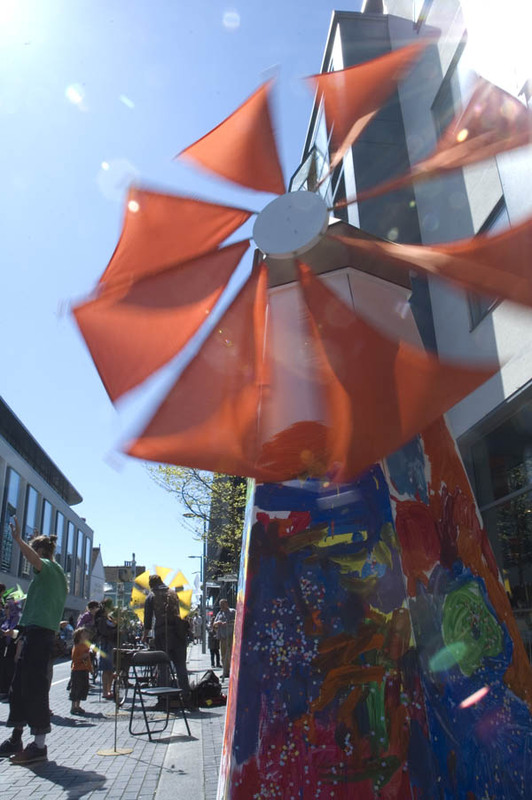 The event was a triumph and when the breeze blew the square was transformed into a whirling mass of colour and movement. 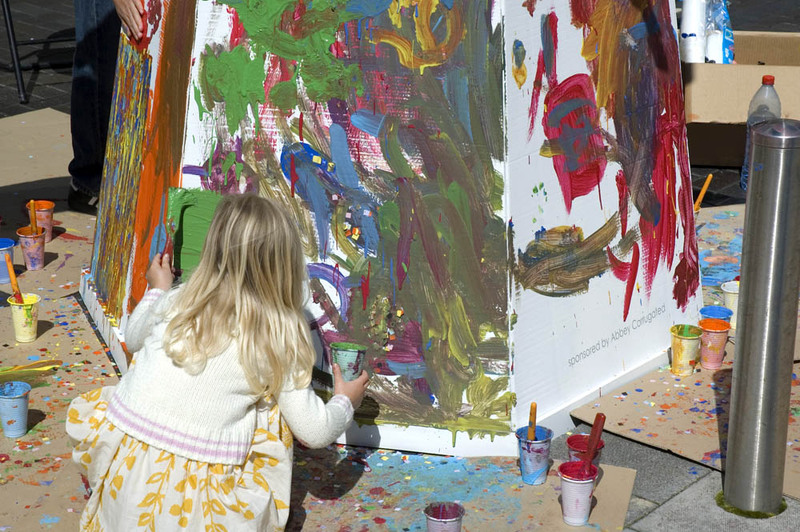 Hundreds of children and parents were involved over the course of the day in the numerous events in the square. 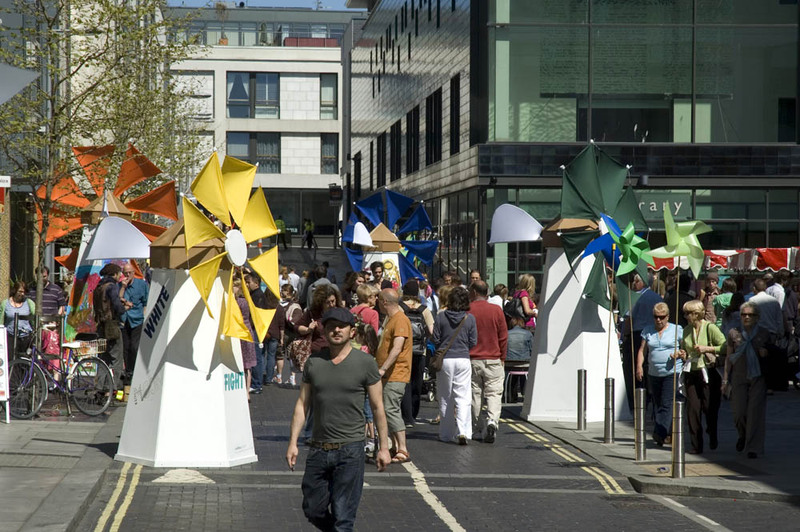 It may have sounded like a bit of a dotty idea to begin with but filling Jubilee Square with windmills turned out to be an excellent plan.